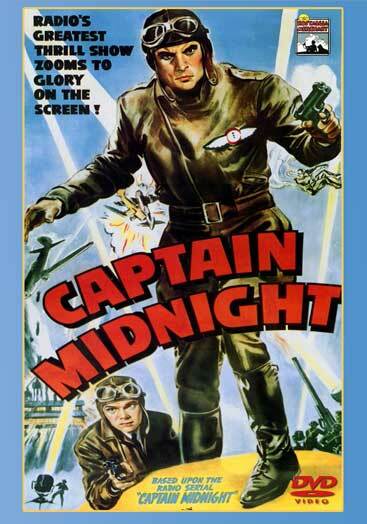 Captain Midnight was only one of the many aviation serials released in wartime whose leading characters where derived from early pulp magazines and radio favorites. In this serial, Captain Albright is an extremely skilled aviator better known as Captain Midnight, who is assigned to neutralize the sinister Ivan Shark, an evil enemy scientist who is bombing major American cities. Starring Dave O’Brien, Dorothy Short and James Craven. 2 DVD Set – 15 Chapters (1942).